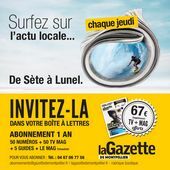 The Sites d’Exception en Languedoc have a free have a free Privilege Card, valid for 2 people. Are you on holiday or do you live in the region ? Do you want to discover the remarkable heritage of Languedoc while making the most of discounted prices ? Privilege Card is the perfect asset for your visits. “To find out the privilège entry fee, go directly to the PAGE of the site you want to visit. 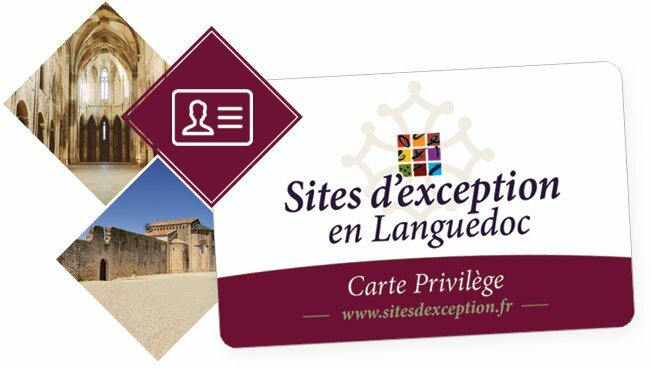 The Privilege Card enables you to access 17 must-see tourist sites in the Languedoc (Occitanie region) by also taking advantage of preferential rates with a constantly-expanding network of Sites d’exception en Languedoc. You can also make the most of discounts and advantages with our 9 partner tourist service providers . Relive the History and passion of those who have left their mark on these lands. Equipped with your card, visit an exceptional heritage site, like the château-abbaye de Cassan, nicknamed little Versailles in Languedoc, or the Saint Michel de Grandmont Priory, a real Roman architecture gem. 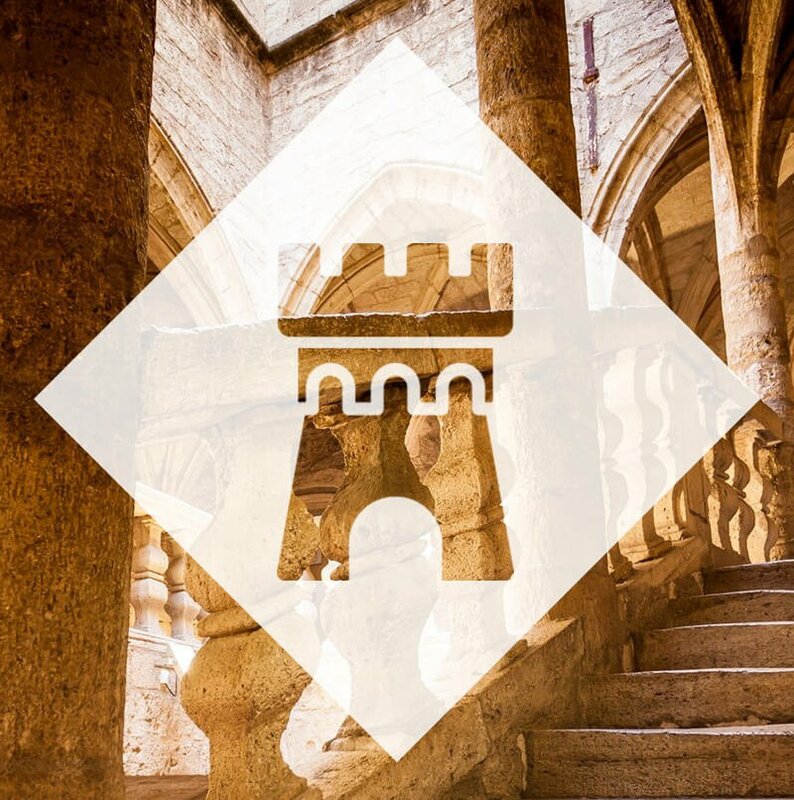 Walk in the footsteps of the Gallo-Romans at the museum and archaeological site of Ambrussum or dive into the history of ceramics at Argileum, Maison de la poterie, just a stone’s throw away from the “Grand site de France” site of Saint-Guilhem-le-Désert – Gorges de l’Hérault. Stopover at the Maison Noilly Prat, a world-renowned place where one of the first French vermouths has been developed in secret for over 200 years. Enjoy reduced rates with your family, where you’ll be enchanted by the magical show at the Grotte des Demoiselles, a geological gem of the Massif du Thaurac, or the Grotte de Clamouse and its “Spéléopark” (underground adventure trails), a unique concept for a fun and dynamic way to discovery this underground setting, globally renowned for the wealth of its concretions. Enjoy a barge trip and go through the 9 Fonseranes locks, an important place for the Canal du Midi, listed as a UNESCO World Heritage Site. Visit Valmagne Abbey, one of the most important Cistercian abbeys in France, and taste their wines from one of the oldest vineyards in Languedoc. Become one of our privileged visitors and take advantage of our discounts when visiting our exceptional tourist sites.